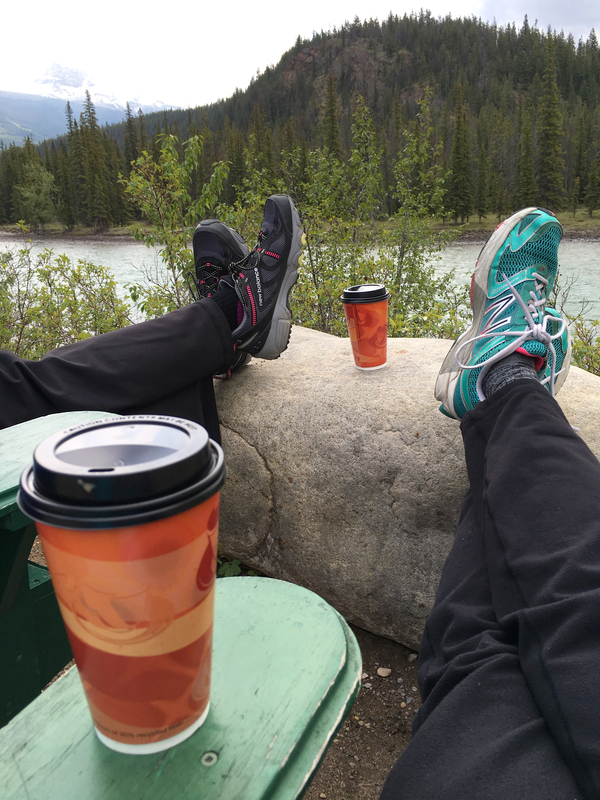 We found the best coffee in Jasper . . . maybe anywhere . . . at the SnowDome Coffee Bar. It is in a most unusual place – a laundromat. But when you think about it, what a great place to have a coffee bar. They bake their own breads and muffins so while you’re doing your laundry you can enjoy a great cup of coffee and a snack. And true coffee art too. I thought this was so beautiful I didn’t want to drink it. But what a way to relax by sitting along the river with a cup of coffee. 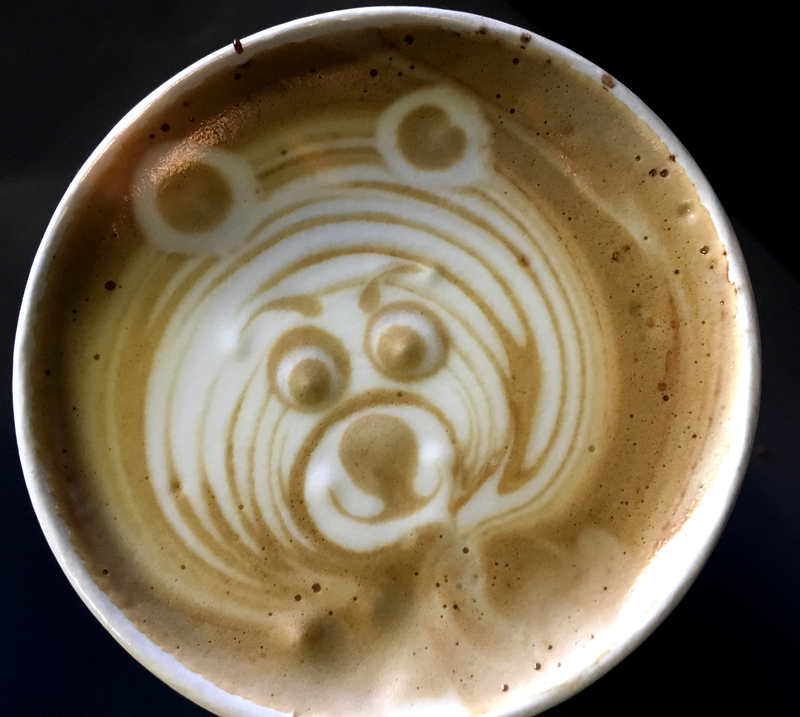 Amazing coffee art! I love it! 🙂 And what a great idea, a coffee bar in a laundry mat. Brilliant!